In a majestic setting, unfolding between the Mont Blanc and the Aiguilles Rouge mountain ranges, the Chamonix golf course is a real gem. Boasting the signature of Robert Trent Jones Snr as its designer, the 6076 metre long course is well defended by many well-placed bunkers and water hazards. Along with the major benefit of being relatively flat which is rare for an alpine course. Professionals taking part each year in the Omega European Masters - the most prestigious golf tournament in Europe after the British Open - never tire of praising the course that has been redesigned by Severiano Ballesteros. Evian annually hosts the famous €œEvian Masters', a key stop on the Ladies European circuit. Renowned for its changing personality, sloping greens, deep bunkers and challenging fairways, this course demands strategy and patience. The vistas over the lake only serve to make your round even more enjoyable or, at the least, compensate for a poor one ! Only 10 minutes from Geneva and reserved to members over the weekend, the Esery golf course opens its delights to non-members on weekdays. Its undulating landscape, 27 holes and setting make the Esery course a popular choice. With players coming from quite a distance to play both the 9 and 18 hole courses. With two courses - 18 and 9 holes - the Maison Blanche course has a wide variety of holes. The 6246 metre 18 hole course is a true gem, whilst the 9 hole gives everyone a chance to obtain the obligatory handicap. 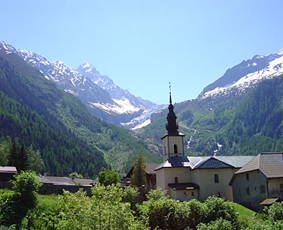 The Chamonix valley region has an abundance of Mountain bike trails to suit all abilities and ages. Download a map of the mountain bike trials in Chamonix. Those seeking a challenge with steep angles will not be disappointed. Literally the sky is your limit. The ski lifts will take you as high as you want all day every day. Meaning riding can all be downhill! which can be a bonus especially at altitude. A guide service is also available (enquire locally) along with equipment hire. Chamonix boasts 19 separate equipped crags in the valley alone with many more in the valleys nearby. For the uninitiated this means there is safety equipment in place with graded routes shown in guide books. This is merely the beginning, from here to a 35 pitch ascent of the Dru there are many days climbing indeed. The challenge of climbing Chamonix's world famous ice formations and glaciers is an exhilarating experience. Climbers come from all over the world to tackle these impressive structures. 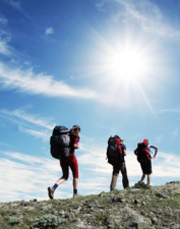 With over 350 kms of marked trails Chamonix has a walk or hike to suit all abilities. Either starting on the valley floor or using the ski lift network to access the high mountain terrain there are leisurely strolls through to multi day expeditions. For the serious walker a tour of Mont Blanc is possible, a nine day, 160 km circumnavigation hike through 3 countries. White water rafting is a 'white knuckle ride' and with the river Arve running through the centre of Chamonix you don't have to go far! Also nearby(near Morzine) is the exhilarating Dranse river and over in Italy the formidable Dora Baltea. Only for those wanting a real adrenaline rush and if you don't mind getting wet. 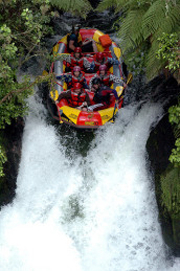 Hydrospeed which is also known as "White Water Swimming" if offered by the rafting companies. Thick, reinforced wetsuits, crash helmets and flippers are provided and it is the perfect way to harness the true power of the river. 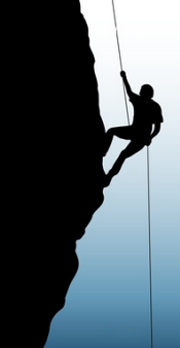 Combining climbing, abseiling, swimming and diving, canyoning is an adrenaline experience. Equipped with wet suits, helmet, harness and boots, canyoning takes you through the river's course with exciting water slides into deep pools. From gorge walking to caving in the outdoors canyoning covers a wide range of obstacles with the common theme of getting wet and having fun. 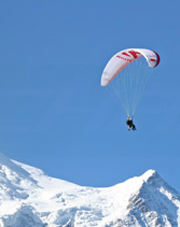 Chamonix Valley is a fantastic place for paragliding. Strong thermals, eagles soaring, glaciers and high peaks make for one of the best flying areas in the world. Harnessed to an instructor, paragliding offers a bird's eye view of the mountains and valleys in safety. Cool nights and hot days create large temperature gradients resulting in powerful thermals and strong valley winds. Good flying starts in March and the season ends in October. Fishing in the valleys rivers and lakes. A day or fortnightly permit is available. Fishing permits can be purchased either at the Gaillands chalet, at the Saint Antoine Tobacconists in Les Houches or the tourist office in Vallorcine. - The local club, "Sociia de pache et protection du milieu aquatique des Houches" (SPPMAH) offers Fishing initiation courses on Sundays. The Centre Sportif Richard Bozon in Chamonix has a swimming pool complex with four different pools: one 50m outdoor pool, a 25m indoor pool, a kids playing pool and a paddling pool. The complex also has a hydroslide for all ages! Located at the Centre Sportif Richard Bozon is the town's ice rink for skating, ice hockey and other sports. It measures 30x60 m and has its own restaurant and bar. Look out in the Events section for hockey matches and other events. 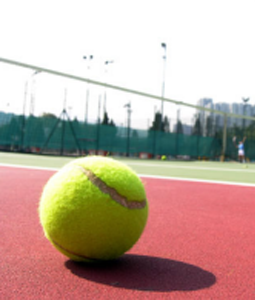 There are two Tennis and Squash centres in the Chamonix valley: Chamonix and Argentiere. Lessons with qualified instructors. 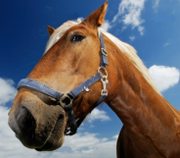 To reserve you must make your booking for "quart au quart"
Hacks and lessons for both adults and children. This treat is for men as well as women - simply relax, pamper yourself with a beauty treatment or a muscular massage after an active day on the mountain, this spa is fantastic. Hameau Albert, within the Hotel Albert, has a team of physiotherapists and beauticians offering an extensive range of treatments including massage, body wraps, facials and a fitness programme. If you book one of their treatments you can also make use of the pool and Jacuzzi in a chalet style building with large glass front looking out onto Mont Blanc. Baths Saillon in addition to the wellness program, the restaurants, the grocer's shop, the hair salon, solarium, beauty salon, boutiques and kiosk offers a bar, a dance hall, concert hall, theatre. Enjoy the benefits of the hottest thermal water in Switzerland in Baths Lavey. An inner swimming pool and two outer pools bring a magical pleasure in Winter (until 36 degree) as in Sommer (28 degree). 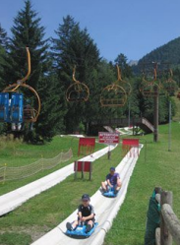 Paradis des Praz - In Les Praz is a great children's play area with pony rides and you can also buy refreshments and food here too. To get to this play area go to the car park at the back of the golf course, take the path beside the river, over the bridge and it's a short distance from there. Alternatively you can visit the Tourist Information Centre whilst in Chamonix. They have a list of all activities for children.